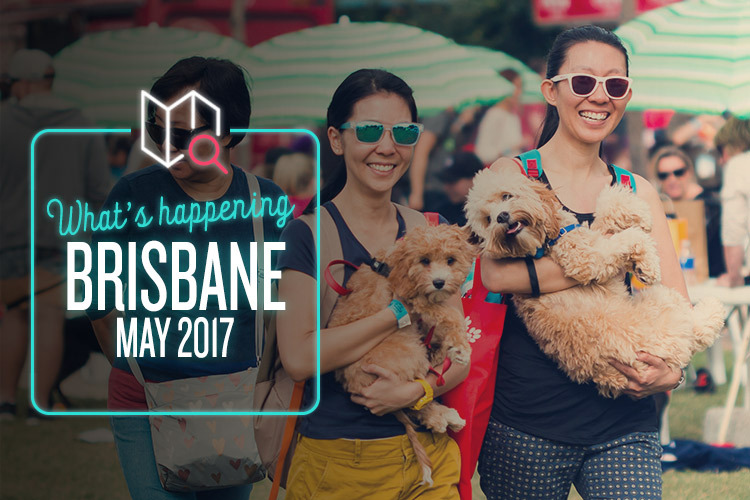 From bad movie mocking to large-scale doggie walks, Brisbane’s got tons of stuff to see and do this month. Let’s check some out! Hosted by festival ambassador Miguel Maestre, the Spanish Film Festival is touring the country to bring us the finest examples of Spanish cinema from recent years. The line-up is a diverse mix of drama, comedy, action, epic, romance and plenty more. From the opening night gala of Kiki, Love to Love to the closing screening of The Trip to Spain, there’s something here to tickle cinephiles of every persuasion. Check out Álex de la Iglesia’s manic dark comedy The Bar, or prepare to have your heartstrings firmly tugged by Jonás Trueba’s The Reconquest. That’s just a taster, of course, so check the website for the full listings. The bank of the Brisbane River is never a bad spot to find yourself, especially when By the River rolls into town. This year features a WW2 theme, a great selection of jazz bands, and some of the finest food trucks the city of Brisbane has ever played host to. Parking’s free, entry’s free, so all you have to do is round up your friends, family and pooches for an unforgettable day of music, food and warm, friendly vibes. As if that wasn’t enough, Newstead Brewing Co will be setting up their own bar, from which all proceeds go towards Newstead House Brisbane. From the classic riffs of Mystery Science Theatre 3000 to more recent web series such as Best of the Worst, funny people mocking terrible films has long been a noble form of entertainment. Comedy Commentary Cinema brings a uniquely Aussie perspective to the whole fiasco, as you’ll soon discover if you head to South Brisbane to watch them tear shameless King Kong rip-off A.P.E to shreds. Improv masters Luke Rimmelzwaan and Brittany White will be guest-starring, so don’t miss your chance to get some serious chuckles at the expense of a terrible 1970s monster movie. Grab your leash and get ready to roll, ‘cause the cutest fundraiser in Queensland is back once again! The Million Paws Walk is a large-scale extravaganza of puppers, doggos and woofers, all strolling happily along to raise much-needed money for the local RSPCA. Thousands of humans and canines alike take part each year, and it’s always a wonderful sight to behold. You can get sponsored and even put a team together to walk the walk in style, as well as browse the special marketplace and grab a bite to eat. It’s loads of fun and it’s all for a good cause, so head on down and check it out.